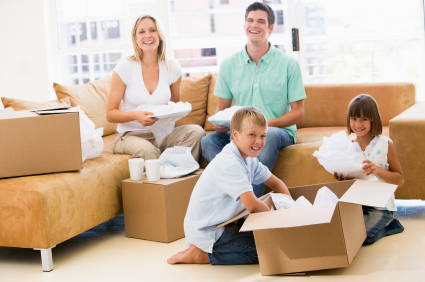 If you need to pack any fragile or delicate items, you will need to make sure they are well-protected during the move. Large items are extremely difficult to maneuver around during a move, so you must make sure you can take care of them the right way. Sometimes, there are are smaller and more irregular items that require special treatment as well. For the most part, you can start by providing as much padding as possible. Make sure you always put enough bubble wrap to accommodate them, alternately replacing them with packing peanuts, paper or even special containers that are made for the transportation of fragile items. Wrap the legs of furniture and pianos as well as wrapping them to avoid scratching and worse. Keep sharp objects and packing tape away from any surfaces that could be difficult to clean. The variations in temperature in the backs of moving trucks may cause materials like that to stick to these surfaces, making your pianos and other special items suffer nearly irreversible damage. Wrap things up in moving blankets, disassemble anything that can needs to be disassembled and make sure you let the movers know of any special instructions if you have any. Although they should know what to do, it might be good to let them know anyway. The second, but equally important step is getting the chance to work with a company capable of providing the best protection for your belongings. There may be many companies on the market, but those who specialize in moving bulky, sensitive objects are what you should be aiming at. Much like it is with other moving companies, it is important to do quite a few things before you manage to succeed. First of all, you will need to check the recommendations of those who have used the company you may have chosen already. Piano shops and antique stores may already have a deal with a given company, possibly even offering discounts to those who use their services. You should ask for references for the movers you might have chosen. Good companies will have a list of customers who will agree to provide such references as a true testimony for potential clients. Online business directories will also have the option of reviews, where you will find information on the acumen of your chosen company and their interactions with their client base. Check out how your special item is usually moved, so you would have a decent amount of information available on hand. Staying educated in this will help you avoid possible scams, as you will know what is considered standard in the industry and how things are handled.